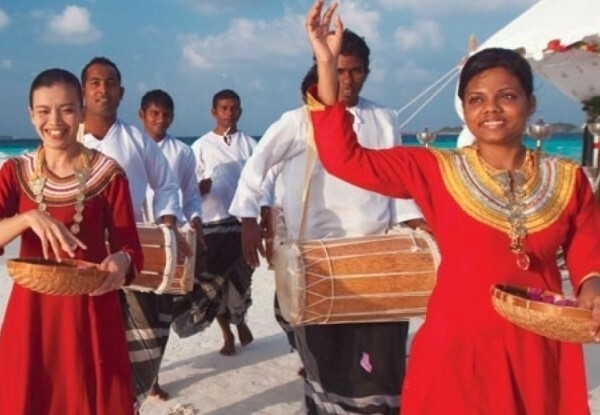 Duration: The minimum duration of the stay in Baros Maldives is 1 week during Christmas & New Year period. Baros Residence is Surrounded by tropical garden is an exquisite retreat of privacy and intimacy, hidden away from rest of the island, but with direct access to the beach. The guests can enjoy a private swimming pool in the garden, a broad veranda. Extra features include: Private swimming pool, A dedicated butler on call round the clock, Walled garden, A canopied four-poster day bed on the sundeck, A king-size bed with scalloped linen canopy, A luxury indoor shower and bathtub, Beach bean bags, Deck loungers, DVD/ CD Library, iPod docking station, Library of coffee table books papers, Teak dining table and chairs on the deck and much more. There are 10 Water Pool Villas. Each Water Pool Villa has an Elegant & exclusive private couple swimming pool, Private & expansive timber veranda with sunbathe deck with loungers for relaxing and enjoying the view that stretches in to the horizon. Baros water pool villas are located at the end of the boardwalk jetty with amazing sunset views and direct access to the lagoon. Dedicated Villa Host on call, library of DVD/CDs, coffee table books and paperbacks, an iPod docking station, “Bose” surround sound system, Coffee table books and paperbacks. Baros Premium Pool Villas located on a secluded beach shielded by vegetation bordering the lagoon with panoramic sea views also offers beachside plunge pool, separate Jacuzzi on each side of the Villa’s wooden deck, A dedicated Villa host on call, making the most romantic resorts in the Maldives for a honeymoon or a holiday. Extra features include: An outdoor, beach-side Jacuzzi (1.7m x 1.7m) for two, An infinity-edged plunge pool (3.4m x 2.4m) with sun deck, A spacious shaded wooden veranda deck, canopied four-poster day bed Bean bag comforters “Bose” surround sound system, Direct access to the beach, DVD/CD library, iPod docking station, programmed iPod Library of coffee table books and paperbacks, Sun loungers, Teak dining table and chairs and Veranda sitting area. There are 8 Baros Pool Villas set in a lush tropical glade by the beach, and creates a haven of privacy in the pure elegance of their plush interiors. Extra features include: A dedicated Villa Host, An infinity-edged private plunge pool (4m x 2.4m), Spacious shaded wooden veranda deck with canopied four-poster day Bean bag comforters, “Bose” surround sound system, Direct access to the beach, DVD/CD library, iPod docking station, programmed iPod Library of coffee table books and paperbacks, Sun loungers, Teak dining table and chairs, Veranda sitting area. There are 20 Water Villas can be reached by a wooden jetty, with endless views of lagoon, ocean and horizon from the Villa’s secluded sundeck. Each one providing the perfect, intimate & exclusive private escapes. Extra features include: Spacious wooden deck for sunbathing with canopied four-poster day bed, A dedicated Villa Host on call, Teak dining table and chairs for two and a short flight of wooden steps down to the lagoon. There are 10 Baros Villas (103 sqm) Each Baros Villa nestled discreetly in a tropical glade and is designed with elegance and style. With direct access to the beach and a wooden deck for lounging close to the lagoon, Ideal for honeymooners. extra features include: shaded veranda with day bed and sitting area Direct access to the beach Exotic bathroom and outside shower in a sandstone-walled flower garden. All Credit cards accepted, Foreign currency exchange. The Baros Resort offers different facilities for perfect dining in the name of Lighthouse, Cayenne, Lime ans Sails. The Cayenne features the best steaks from all over the world as well as fish freshly caught by local fishermen, all cooked to perfection by master chefs in the open kitchen. A meal at the Cayenne is a highlight of this elegant island resort in Maldives. Baros’s Lighthouse lounge offers a wide choice of champagnes and cocktails, served with canapés, and the finest wines. Every Friday the Lighthouse Lounge features a dazzling evening of smooth Jazz and Blues by a talented band of Maldivian musicians. The contemporarily styled Lime Restaurant of Baros offers Asian cuisine served to guests relaxing at tables on a spacious deck above the waves. Coral reefs here packed with a variety of marine life, island hopping excursions are most enjoyable here, 30 world class dive-spots are reachable within 50 minutes sail.